(Trent Nelson | The Salt Lake Tribune) Dieter F. Uchtdorf sits with other members of the Quorum of the Twelve Apostles at a news conference in the lobby of the Church Office Building in Salt Lake City, Tuesday, Jan. 16, 2018. Russell M. Nelson was named the 17th president of the nearly 16 million-member Church of Jesus Christ of Latter-day Saints. He took to social media Wednesday to assure members of that sentiment after reading so many posts bemoaning his removal from the LDS Church’s new governing First Presidency. On Tuesday, The Church of Jesus Christ of Latter-day Saints announced that newly installed prophet Russell M. Nelson had selected apostles Dallin H. Oaks and Henry B. Eyring to serve with him in the First Presidency. It marked the first time in decades that an incoming LDS leader had dropped a counselor from the previous First Presidency. The development sent rumbles through the church. For many Mormons, Uchtdorf had become a favorite, especially as a speaker. Now he will deliver fewer sermons, for instance, at the faith’s twice-yearly General Conferences. 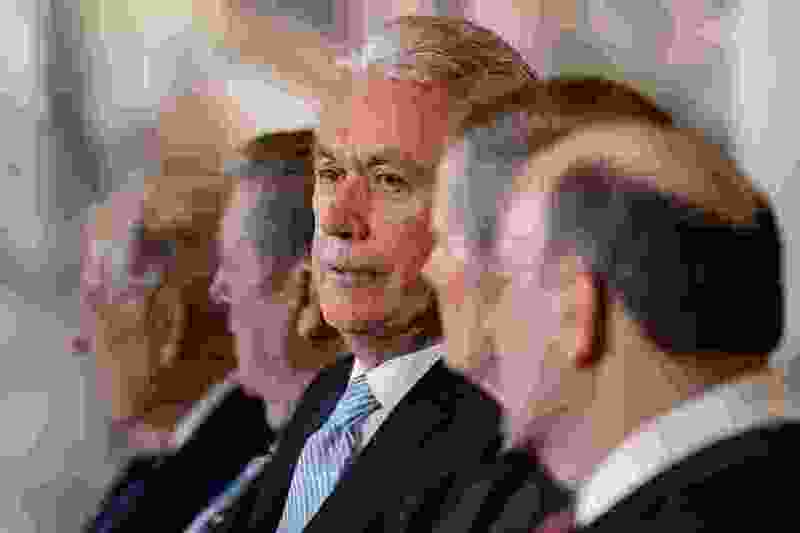 But, as a Mormon apostle, the 77-year-old former airline pilot remains in an influential post and retains his influential voice. In his Facebook post, Uchtdorf repeated a reference he told The Salt Lake Tribune after the new First Presidency was unveiled Tuesday.